VIII Congreso Nacional de Enfermedades Raras. Murcia, Spain, 15 - 18 Octubre 2015. II° Congresso Internacional de Hipermobilidade. Síndrome de Ehlers-Danlos e Dor, Sao José do Rio Preto, Sao Paulo, Brasil 21 - 23 Agosto 2015. American College of Rheumatology, Boston, Massachusetts, USA. November 14 - 19, 2014. 8 y 9 de Agosto 2014. Curso: "Tópicos Hemato-Oncológicos de interés en la práctica Reumatológica. Santiago. Chile. Del 15 al 20 de Marzo 2014. XVIII Congreso de la Liga Panamericana de asociaciones de Reumatología (PANLAR). Punta del este Uruguay. Octubre 2013. Congreso anual del American College of Rheumatology. San Diego California. EE.UU. Del 4-6 Septiembre 2013. XXIX Congreso Chileno de Reumatología. Concepción. Chile. Del 23-25 Agosto 2013. Primer Congreso Internacional de Hipermovilidad. Síndrome de Ehlers-Danlos y dolor. San José de Río Preto. Sao Pablo. Brasil. Octubre 2012. Congreso anual del American College of Rheumatology. Washington DC. EE UU. - Sao Jose do Rio Preto, II Congress. Sao Paulo. Brazil. October 2017. - Barcelona, Spain. October 2016. - Montevideo, Uruguay September 2016. - Sao Jose do Rio Preto, II Congress. Sao Paulo. Brazil. August 2015. - Lima, Perú. September 2014. - Punta del Este, Uruguay, March 2014. - Sao Jose do Rio Preto, I Congress. Sao Paulo. Brazil. August 2013. - Ghent. Belgium, September 2012. - Barcelona, Spain. June 2011. - London, UK. June 2011. J Bravo, MD & R Grahame MD. Síndrome de Ehlers-Danlos Clásico (Ehlers-Danlos tipo I-II): Jaime F. Bravo, Published in Reumatología 2016; 32(4):123 – 130. Article in Spanish with Abstract in English. Article contains an interesting amount of photos of the characteristic signs of this condition. Hiperlaxitud y Síndrome de Ehlers-Danlos: Clínica y calidad de vida de los pacientes. Article in Spanish with Abstract in English. Síndrome de Ehlers-Danlos Vascular: Complicaciones Vasculares Graves en Enfermos con Hipermovilidad Articular: Jaime F. Bravo, Published in Reumatología 2016; 32(2):40 – 48. Article in Spanish with Abstract in English. Article contains an interesting amount of photos of the characteristic signs of this condition. When to suspect Ehlers-Danlos type III, also known as Hypermobile Ehlers-Danlos Syndrome: Jaime F. Bravo, Published in Reumatología 2015; 31(3):173 – 180. Article in Spanish with Abstract in English. Article contains an interesting amount of photos of the characteristic signs of this condition. Ehlers-Danlos Syndrome type III, also called Joint Hypermobility Syndrome (JHS): Epidemiology and Clinical Manifestations.Jaime F. Bravo, July 2010. Published in Reumatología 2010; 26(2):194 – 202 article in Spanish with Abstract in English. Article contains an interesting amount of photos of the characteristic signs of this condition. Association between Psychopathological Factors and Joint Jypermobility Syndrome in a Group of Undergraduates from a French UniversityBaeza-Velasco C, Gély-Nargeot MC, Bulbena A, Fénétrier C, Bravo JF. International Journal of Psychiatry in Medicine Article in press. Ehlers-Danlos syndrome (EDS), with special emphasis in the joint hypermobility syndrome Jaime F. Bravo January 2010 Revista Médica de Chile 2009, vol.137, n.11, pp. 1488-1497. Signs and Symptoms of Joint Hypermobility Syndrome (JHS) to consider when diagnosing this condition.AbstractJaime F. Bravo, Carlos Wolff, October 2009.Poster presented at the 2009 ACR Anual Scientific Meeting, Philadelphia, PA, October 16 to 21, 2009 Arthritis Rheum 2009; 60 ( Suppl ):S30. Low Bone Mineral Density (BMD) and Dysautonomia in Adolescents and Young Patients with Ehlers-Danlos Type III. Clinical Study with 90 PatientsAbstract/ResumenJaime F. Bravo, Carlos Wolff, November 2008. Poster presented at the 2008 Anual Scientific Meeting ACR San Francisco, CA, November 23 to 28, 2008, Published in Arthritis Rheum 2008;Vol.56 (9) Suppl:S746. Clinical Study of Dysautonomia in 1226 patients with Joint Hypermobility SyndromeJaime F. Bravo, Carlos Wolff, August 2008. Vascular Ehlers-Danlos Syndrome ( VEDS ), formerly known as EDS type IV.Jaime F. Bravo,January 2008. Clinical study of hereditary disorders of connective tissues in a Chilean population. Joint hypermobility syndrome and vascular Ehlers-Danlos syndrome . 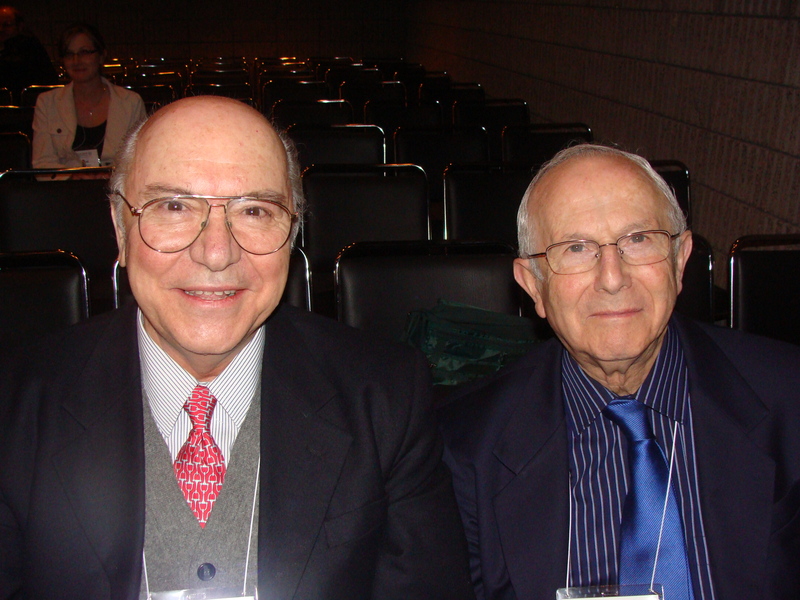 This article has an international recognition in this subject Jaime F. Bravo, Carlos Wolff, February 2006. Presented at the XIV Pan-American League of Associations for Rheumatology (Panlar) in Lima, Peru. August 19th – 23rd, 2006 Abstract published in JCR: Journal of Clinical Rheumatology Vol 12, Number 4, August Supplement 2006, S30. Utility of Bone Scintigraphy in the study of Hereditary Disorders of the Connective Tissues (HDCTArticle Published in both English and Spanish in ALASBIMN JOURNAL 01/10/2003. Poster presented at the ACR/ARHP 68th Annual Scientific Meeting, 16 – 21 October 2004, San Antonio, Texas: “Hereditary Disorders of the Connective Tissues(HDCT). 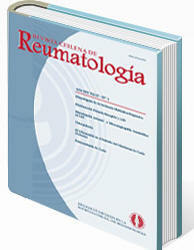 A clinical study of 249 cases” Abstract published in Arthritis &Rheumatism Vol. 50, No. 9(Supplement), September 2004, pp S309. Spontaneous pneumothorax is seen in the joint hypermobility syndrome (JHS)August 2006: Letter to the Editor, published in Rheumatology Vol. 45 No. 8, Aug 2006; pp 1052 – 53. Spontaneous Pneumothorax is seen in patients with Marfanoid habitus.July 2007: Letter to the Editor, submitted to The Internet Journal of Rheumatology. Commentary in response to Forum Topic: Is fibromyalgia being overdiagnosed Commentary which appeared in the www.jointandbone.org Forum. Dry eyes and mouth syndrome or sicca, asthenia and polyalgia syndrome? Most patients previously diagnosed as Fibromyalgia probably have Joint Hypermobility Syndrome.